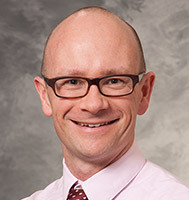 Nathan V. Welham, PhD, CCC-SLP, earned his degrees from the University of Canterbury, Whare WÄ?nanga o Waitaha and the University of Wisconsin-Madison. He is certified in speech language pathology by the American Speech Language Hearing Association. Dr. Welham specializes in the assessment and treatment of patients with organic, neurological and functional voice disorders, resonance disorders and upper airway disorders such as paradoxical vocal fold motion. He also treats patients with occupational voice problems.